[UPDATED] Herd the Cats is usually initiated by the CMO/CDO (Chief Digital Officer) or other enterprise practice or brand executive who discovers that various business units or brands in the organization have diverse social media presences without much apparent direction or business results. S/He wants to use strategy to provide a keel that resonates with corporate strategy, addressing issues as diverse as corporate citizenship, community, health or policy. In 2013, digital marketing and firm executives are thinking about building their internal teams to provide more continuity and scale, so the champion often wants to create a social business “center of excellence” to serve several businesses or brands, leveraging enterprise resources to improve social business performance and contributions. Herd the cats is the fourth of the five-part social business team building series The series describes team building in the context of various scenarios in which firms build social business capability, step by step, while investing wisely. Social Business Strategy Use Cases outlines and compares all five use cases while Social Business Team Building gives general guidance for how to create social business teams as well as recommendations for what characteristics leaders have, so I recommend reading them, too. Herd the Cats’ purpose is to create an enterprise layer of social business value that may address any combination of: profit contribution, “corporate values,” communities around offices or plants, health or environmental concerns or even policy or government issues. Think of Herd the Cats as an enterprise-level Social Media Upgrade focused on increasing performance across brands and on giving the enterprise itself a voice. As with Social Media Upgrade, most brands or businesses within the enterprise portfolio have begun social media projects without conducting robust due diligence, so the CMO/CDO wants to review their performance. The way in which all the moving parts fit together varies considerably with circumstance and culture. Any smart CMO/CDO doesn’t want to interfere with the autonomy with his/her businesses, but the fact is that most have lackluster social business returns on investment when the bar is real business results. The enterprise will gain considerably by developing social business good practices and sharing them across businesses/brands. 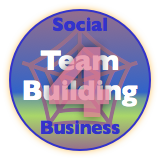 In Herd the Cats, the team building focus will be the enterprise Social Business Competency Team (SBCT). Before building, we need a blueprint, so the enterprise needs to conduct Feasibility to assess market potential and existing social media initiatives. To put this in context, have a quick glance at the enterprise social business life cycle. Feasibility will fully develop the corporate perspective, which will consist of its ecosystem, stakeholder adoption, competitor & substitute adoption, business case for social business and the enterprise’s technology, process and knowledge assets. In most cases, based on the results of Feasibility, the team will decide to create the social business strategy for the enterprise to prepare for its social business pilots. (Feasibility provides the business case; theoretically, it could be weak, so the enterprise could choose to stop there). These pilots are distinct from any of the enterprise businesses’ or brands’. Enterprise-level Feasibility and Strategy will also provide the context for evaluating or creating social business strategies for businesses/brands later. Note that all of them will not require this treatment; Feasibility will identify the businesses that carry the highest ROI potential, so the CMO/CDO can optimize. Obviously timing is a factor, too: based on adoption patterns discovered in Feasibility, various businesses will be able to make optimal social business investments. As with other team building scenarios, hiring people before you have real social business experience is a recipe for underperformance. In Herd the Cats, the CMO/CDO wants to seed competency with his/her own team, which will serve as the nucleus of the SBCT later. The enterprise social business strategy recommends several pilots in which the enterprise will focus on interacting with stakeholders to produce business outcomes. Pilots should avoid the “social media approach” used by most businesses in most cases because it sidesteps relationship. They tweet about their news releases, volunteer day events and position papers. This approach uses social business as a mere content channel. I’m not saying that content is not relevant or valuable, only that it makes it seem like you’re “doing it,” but you are not. Until interacting and relating and collaborating are the focus. By the way, if you are a regulated business, don’t be intimidated; every regulated industry has social business pioneers who prove that much can be done within the barriers that do exist. Social business is manageable for firms that conduct proper due diligence and use sensible social business policies. The social business strategy should cite case studies that show regulated businesses relating to stakeholders in public social venues. Cite real (not imagined) risks, and show how to counter them. Appoint a person or small team to conduct Feasibility and Strategy, which will specify how you can relate to people who matter most to the enterprise. Unless you have advanced social business expertise in-house, you should bring in an external partner who’s focused on helping you with Feasibility and Strategy, which will specify meaningful pilots that mitigate risks, so you move ahead quickly with fewer mistakes. See this report on how to select a social business advisory firm. If possible, avoid hiring a social business executive or director until after Feasibility because it will help you gauge the market opportunity and indicate what kind of person you need. Define and rank stakeholders, but don’t follow your normal “persona” approach because it undoubtedly gives scant attention to stakeholder outcomes (in the favor of your products and services; more on this here). Also make sure to force rank stakeholders in terms of impact on the business. In our context here, choose stakeholders that are most important to the enterprise, not necessarily a particular business or brand in your stable. Begin by asking yourselves what stakeholders, should you be able to build better relationships with them, could help you execute and succeed with the enterprise business strategy? Think about regulators, politicians, value chain partners, referral sources and communities. In addition, think holistically about “employees,” whom you can now also engage hyper-efficiently while they are prospects and alumni (pre- and post-employment). Ask yourselves, how are you meaningful to stakeholders, what kinds of personal or professional outcomes can they achieve by affiliating with or supporting your company? For employees, how can they use their experience working with you as a platform for their careers? Think at the individual level, not the “politically correct level.” Assume that people are in business for themselves first. Organization comes second in most cases (ideally they’re aligned, of course). Using this as the basis for interacting will dramatically improve your results because it’s real. Get your social business policy and attitude in order. Many conservative firms have shut down social business in three ways that you need to counter before investing in a team. They don’t realize that their policies broadcast a paternalistic and untrusting attitude toward employees, which is a significant impediment. If you have engaged your legal department or law firm to write social media policy, it is likely to be overly punitive because few lawyers have enough experience with social business to understand the context. They know the case law, but the risks must be tempered by in-the-trenches experience to strike the right balance of opportunity/risk. After your strategy is done, you will have a firm grasp on what the upside is and be in a position to improve your policy. If you have shut down social business by prohibiting employees from being online, you can actually be in a better position to conduct your social business strategy and get the social business policy right the first time. If you have had firm marketing interacting on social venues, this constitutes “social media approach” (see above). There is nothing wrong with this as long as you realize that it is not social business and won’t tap your potential. Before committing to a permanent enterprise team, validate and iterate your strategy with real-world experience, which will take the form of pilots. Herd the Cats team building unfolds in two stages. First, the enterprise develops internal competency by doing its own pilots. Second, the enterprise team establishes working relationships with some of its businesses/brands to share its social business expertise with them to improve results. Complete several pilots before hiring or reassigning employees to create a permanent team. Pilots also enable you to develop good (and bad) practices based on real results and evolve your social business strategy. You will have identified and tested optimal interactions. Thus, you will know what kind of team you need to build. If you structure pilots’ roles right, you can usually staff them with existing employees and postpone hiring until post-pilot. Depending on your social business strategy, and the type of interactions it identifies, you can staff pilots with a handful of people. This is easier than you might think; (the Social Network Roadmap, Organization Audit) 2.5 Firm Resource Analysis pinpoints the knowledge/expertise you need and optimizes it with the source’s socialtech skills and attitude. Don’t staff social business pilots from marketing or PR, although they can play important roles. If you decide to work with an advisory firm, they will probably have temporary roles in your pilot teams, so they can mentor your staff. Include expert and professional staff—bankers, physicians, nurses, engineers, attorneys, designers, consulting partners—in pilots because they carry the highest authority. High-priority stakeholders don’t take support staff seriously for their most precious attention. Likewise, regulators won’t take marketing or P.R. people seriously. Optimal teams are often mixed support/professional; they provide quality conversation partners, and the interaction strategy tasks various members with the right topics. When evaluating staff of all kinds, look at their track records for interaction and their desire to help people with complex issues. Insist on seeing this online. How to relate to stakeholders and measure engagement using trust- and relationship-centric metrics; this includes seeing what kinds of interactions move the trust needle fastest for you. Many aspects of team building and management—with virtual (volunteer) contributors. What type of employees usually make the best team members and how to structure their roles. How to negotiate with business unit executives to get small contributions from their employees. How to scope contributor roles to make contributing rewarding for them and not too taxing. Includes designing contributor types like Champion (sponsors pilot), Manager (manages pilot) and Contributor (many types, they do the relating). Most businesses find that they have a significant portion of employees who would jump at the chance to be mentored in digital social best practices, and they volunteer their time enthusiastically, especially when you design their roles to focus on their personal and/or professional interests. How to publicize pilots to the right audiences (internal, external). The pilot life cycle: design, launch, manage, close/renew. Setting up and administering a (digital) SBCT community/creation/learning space. Select and use free or paid invitation-only, cloud solutions. In most cases, make sure they have great mobile interfaces. Defining social business competencies and good practices that pilot teams develop on the job. Share these in the SBCT community. Although scoped small, pilots provide real measurable results that will guide you in knowing when to begin formalizing and resourcing the SBCT. Choose a social business leader who has as many of these characteristics as possible to quarterback pilots and start building the SBCT, usually without hiring anyone else right away. Depending on your social business strategy, you may not need an executive-level hire right away. The CDO/CMO/marketing/business development executive could hire or assign a more junior person to run pilots and develop people. If you choose this path, a director or manager should have most of the above characteristics, minus the executive skills. Choose one or two of the pilots recommended by the social business strategy. Resource pilots with existing staff and/or hire people selectively from the outside. If you hire from the outside, make sure to include experts and professional people in the mix. Begin formalizing the SBCT by writing its charter, usually while you are doing the second or third pilot. The SBCT can begin with as little as one part-time employee, but the heavy lifting is done with pilot volunteers. The size and growth of the team is highly dependent on organizational culture and native skills with collaboration in virtual digital venues. For example, if a large portion of employees is tech savvy and at ease with online collaboration, they will need less mentoring. Count on more, not less. Create the SBCT’s virtual collaboration space by selecting the best collaboration software you can afford and throw away if it proves to be difficult to use for contributors. Make sure to select something with robust data export capabilities, so if you subsequently select another one, your data is portable. I often use WordPress; many people are familiar with it, it exports in xML, it’s free and its pages, posts and plugins give you extensive flexibility, especially when you host it yourself (i.e. not wordpress.com). Develop Social Business Competencies (SBCs) by codifying good practices you learn during pilots. SBCs are a key asset of the SBCT collaboration space. Include bad practices. Don’t worry about formalizing these right away; at this point, the most important thing is to capture them and include capture in the pilot life cycle. Renegotiate with your agency(ies) to do work internally that you had assigned to them. Feasibility has identified high-potential businesses, so now the CDO/CMO approaches two or three of them to determine their interest in collaborating on using enterprise competency in service to their businesses. The way the CDO/CMO interacts with the businesses is very culturally specific; in most cases, the s/he makes suggestions on which businesses are free to act (or not). Conduct the Strategy process for the individual business/brand. If it has been outsourcing social media and agency, this will include evaluating whether to “take back” social media from the agency (Nike did this recently). The SBCT is in an excellent position to seed and spin up the business’s social business competency. The enterprise process repeats at the business/brand level; its social business strategy recommends several pilots, which yield returns to the business and the enterprise. Businesses/Brands that have active social media efforts underway are likely outsourcing much of the activity to agencies, so Herd the Cats can enable them to save significant agency fees while significantly increasing business contribution. Feasibility often finds some businesses/brands pursuing social media with little ROI potential, so the SBCT may recommend scaling back social business when a business’s stakeholders aren’t open to engagement around issues important to the business. In this sense, Herd the Cats serves as a “second opinion.” Of course, the team reuses any due diligence or strategy that businesses have conducted, but it fills the holes. This social business governance case study exemplifies many of these steps. I recommend doing strategy in two stages: the first, the Ecosystem Audit, is externally focused. Be careful here; social media monitoring platforms are very immature and not focused on user outcomes (even though they have pretty charts), so this goes far beyond a few Radian6 reports. For best results, identify the optimal social venues in which to interact; I define this as your doing less talking in favor of facilitating others’ conversations. Interacting in these venues increase your efficiency, performance and ROI. The second stage is something few firms or consultancies do. The Organization Audit is internally focused. The Ecosystem Audit gives you have a clear picture of what your social ecosystem looks like, what key stakeholders value and what outcomes they pursue, so you then evaluate your firm’s knowledge and capabilities in terms of stakeholder outcomes. The social business strategy suggests pilots that perform at a different level. As for timing, Feasibility usually takes 4-8 weeks, depending on the size of your enterprise and how you scope the engagement. The process of creating a robust strategy and running several pilots need not take more than several weeks. Depending on the skill of your consultant or in-house talent, a robust strategy should take 4-6 weeks, and pilots are typically 6-10 weeks each. Of course, pilots may be run concurrently. Put people in charge of your effort who like relating to others and who are used to changing the rules. The beautiful thing about digital social is, you need not depend on “taking their word for it”; you can see them in action, online. Stakeholder (user) outcomes are the key to being relevant; when you are relevant stakeholders want to relate to you. Most social media today lacks the outcome focus, so its relationships tend to be relatively circumstantial and shallow. You can take them to the next level by focusing on user results, not your company, products or services. This will align you with users and make you more money. Social business strategy will also give you a clear vision for what “relating” means. Make sure to involve people in your firm who have [offline] rich interactions with stakeholders to help you develop a vision for what the most fruitful relationships are. Then you can develop some pilots to test it out and begin your learning process. I cannot overestimate the importance of relating over marketing in all firms. The focus of relating is users while marketing’s focus is the brand. Promoting does not address domain-specific concerns. Relating means listening and responding by using professional knowledge to discuss stakeholders’ individual challenges and opportunities. This is a profound mindshift for virtually every firm because many B2B and professional services use “brand-focused” marketing concepts. The firms that get the shift away from marketing first will change the game because they will be head and shoulders more relevant. When you interact with the few, you influence everyone. Most executives don’t understand how the network effect makes relating ultra-efficient. More on this in Network v. Mass Communication. Plan to encounter resistance from your people, contractors and agencies. Pilots are important because they are relatively small, quick investments that aim to test the strategy and generate real data to show results. This will help with the mindshift. Humans are hooked on relating. That not only means stakeholders, but your team. Once they learn to focus on users, they will be happier after the mindshift takes place. Relating gives people meaning. Most firms have a hard time imagining high performance social business because they haven’t seen it. Relating with stakeholders that you have selected as having the most impact on your business is very high value. And, in most cases, these interactions are public, so they can be reshared extensively. I do not advise outsourcing your firm’s social business interactions long-term, but using external resources can be useful for short periods. Review these B2B, healthcare and financial services social business case studies to see it in action. Even longer, more detailed case studies here.